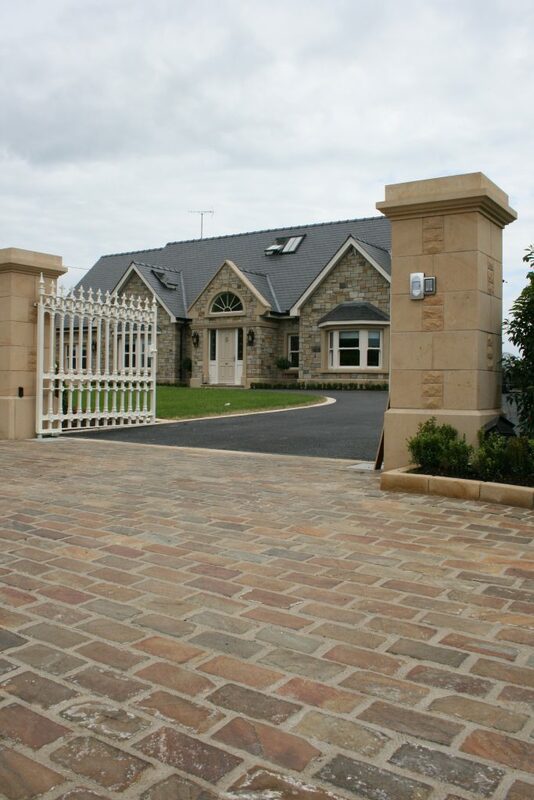 Exclusive to Jointing Mortar UK , this product is the choice of professionals, experts and contractors. Like Jointex easy it is the best jointing compound on the market, this product is far stronger and superior allowing the weight of traffic and vehicles. So not just for use on a graden patio. It is available in the 3 colours, neutral, sand stone grey and basalt in a 25 Kg tub which you can also use to mix the 2 components in. Jointex D1 is a 2 component, physiologically harmless mortar on an epoxy resin base. The selected grain-size distribution guarantees excellent water-permeability. 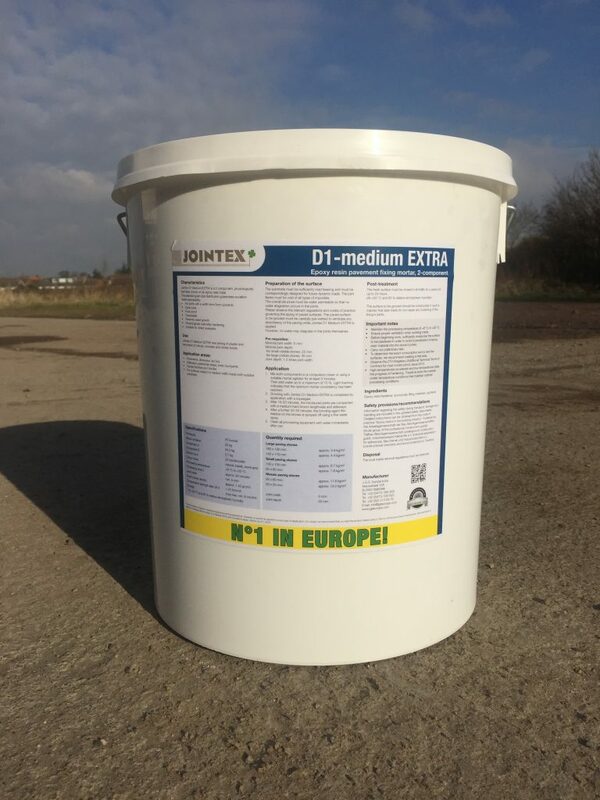 Jointex D1 Medium EXTRA new joining of plaster and renovation of natural, concrete and clinker bricks. The substrate must be sufficiently load bearing and must be correspondingly designed for future dynamic loads. The joint flanks must be void of all types of impurities. The overall structure must be water permeable so that no water stagnation occurs in the joints. 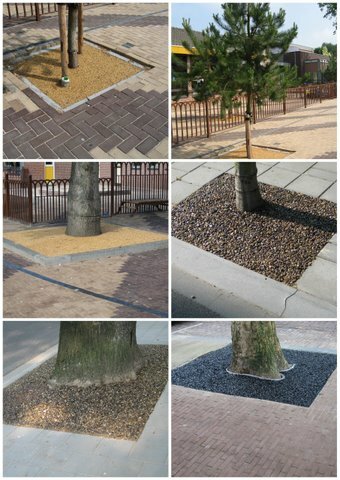 Please observe the relevant regulations and codes of practice governing the laying of paved surfaces. 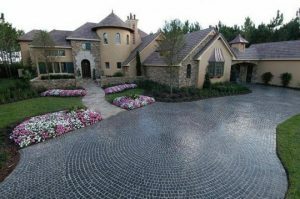 The paved surface to be grouted must be carefully pre-wetted to eliminate any absorbency of the paving while the D1 is applied. However, no water may stagnate in the joints themselves. Mix both components in a compulsory mixer or using a suitable mortar agitator for at least 3 minutes. Then add water up to a maximum of 10%. Light foaming indicates that the optimum mortar consistency has been reached. Grouting with Jointex D1 Medium EXTRA is completed by application with a squeegee. After 15-20 minutes, the introduced joints are compacted with a medium hard broom lengthwise and sideways. 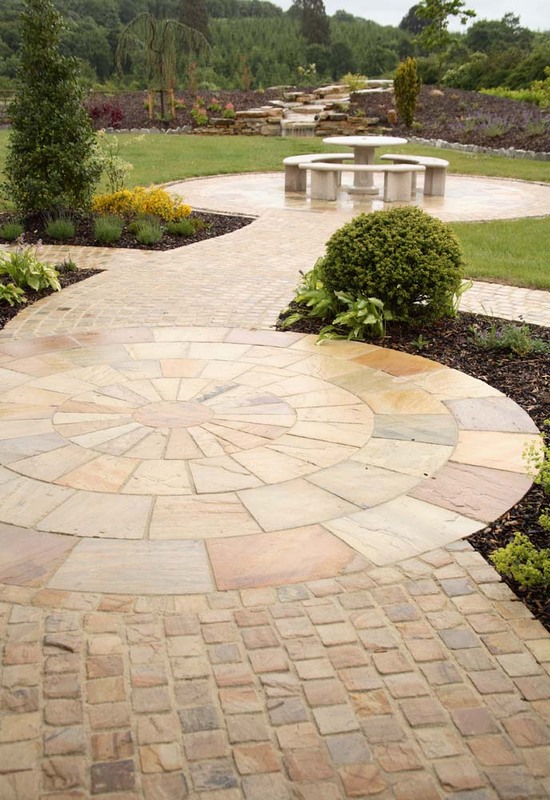 After a further 20-30 minutes, the bonding agent film residue on the stones is sprayed off using a fine water spray. 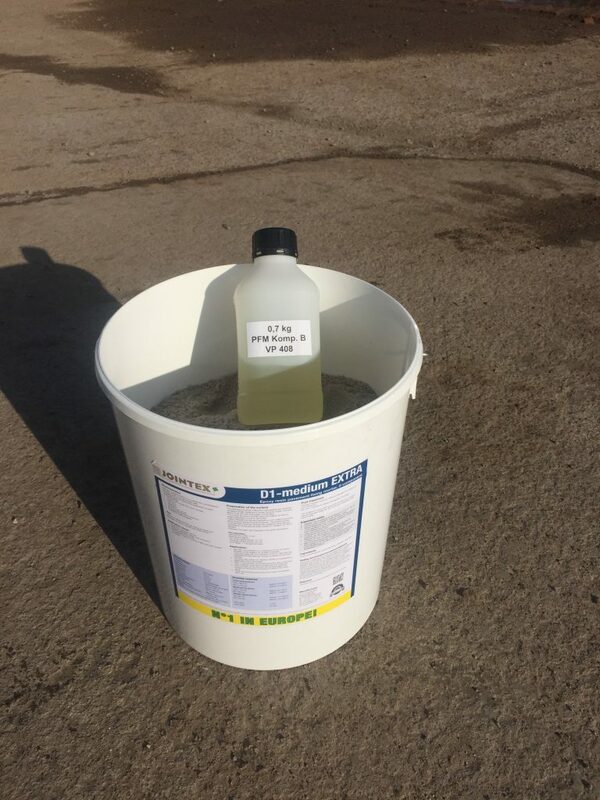 Clean all processing equipment with water immediately after use. The fresh surface must be closed to all traffic for a period of up to 24 hours. The surface to be grouted should be constructed in such a manner that later loads do not cause any loosening of the lining’s joints. Maintain the processing temperature of +8c to +25c. Ensure proper ventilation when working inside. Before beginning work, sufficiently moisture the surface to be plastered in order to avoid a penetration of epoxy resin material into the stone’s pores. To determine the exact consumption and to test the surfaces, we recommend creating a trial area. Observe the ZTV-Wegebau (Additional technical terms of contract for road construction), issue 2013. High temperatures accelerate and low temperatures delay the progress of hardening. Therefore store the material under temperature conditions that maintain optimal processing conditions. Information regarding the safety during transport, storage and handling are included in the updated safety data sheets. Detailed instructions can be obtained from the code of practice “Epoxy resins in the building industry”, Published by the Arbeitsgemeinschaft der Bau-Berufsgenossenschaften (study group of the professional construction guilds). Tiefbau-Berufsgenossenschaft (underground construction guild), Industrieverband Kiebstoffe e.V. (industrial association for adhesives), Bauchemie und Holzschutzmittel e.V. (constructional chemistry and wood protection) in Frankfurt. The local waste removal regulations must be observed.